Home Guard in Wagstaff’s Orchard, Bridge Farm. See note below. Photograph courtesy of V. Hopkinson. 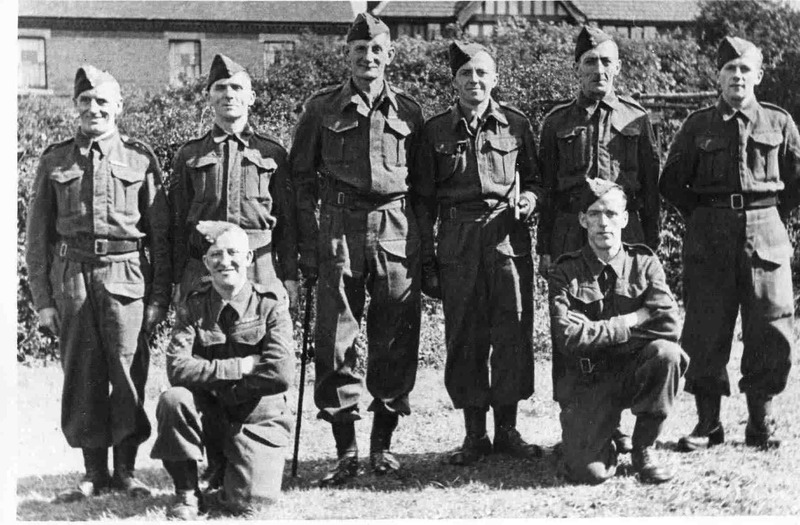 Home Guard in Wagstaff’s Orchard, Bridge Farm. Standing: Unknown, Jimmy Maloney, Mr Robinson, Dennis Barlow, Albert Whitfield, Unknown.